The Moose Pack series is available in three sizes: MP-1, MP-5 and the smallest, the MP-7. 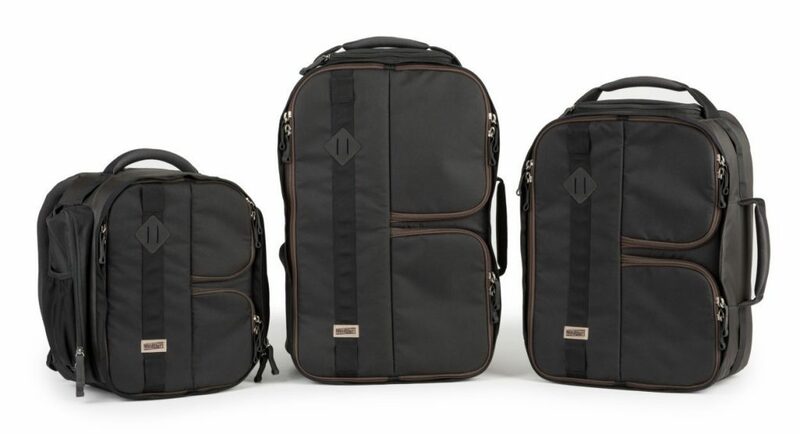 The backpacks can carry up to three DSLR camera bodies with telephoto lenses attached—up to 600mm f/4. This strategy enables photographers to be ready to capture wildlife at any distance without changing lenses or exposing the sensor to the elements. The backpacks also feature the same innovative “Moose Ear” flaps that close automatically, protecting camera gear from dust and debris common in wildlife photography. And because nature photographers often travel to remote locations, the packs are designed to meet airline carry on requirements, and even fit in the overhead compartment of the smallest regional jets. • Original 1998 ‘Moose Ears’ design with auto-close compartment flaps protect the interior from dust, spray, wind, etc.